David Abulafia is a maritime historian whose research on medieval Mediterranean trade, in Sicily, the Balearic Islands and the Levant, has led him to write a large history of the Mediterranean across time, entitled The Great Sea, which was awarded the British Academy Medal in 2103. He maintains a strong interest in medieval and early Renaissance Italy, with an emphasis on southern Italy and the major islands; his works include a biography of Emperor Frederick II and a series of articles about the kingdom of Naples in the fifteenth century from economic, cultural and political perspectives. His interest in the meeting of religions in medieval Spain and Sicily led him into the Atlantic, and a study of the first encounters between Europeans and the native peoples of the eastern and western Atlantic around the time of Columbus. He is now writing a history of the oceans for Penguin Books, reaching back into the ancient and medieval periods to see how and with what results the oceans became connected through long-distance trade. 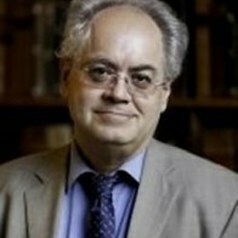 He has spent his career in the History Faculty at Cambridge University where he is Professor of Mediterranean History and Papathomas Professorial Fellow of Gonville and Caius College.